On the surface Grace has the perfect life; as beautiful wife of celebrated author Ted, benefactor of important charities, with rich and influential friends and a regular on the New York social scene. 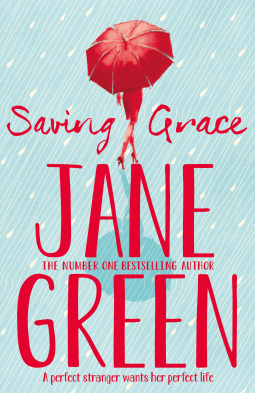 But beneath this veneer, Grace has a troubled past, a demanding and difficult husband whose fame is on the wane and although Grace gives the impression of being in control, her home life is in a mess after Ted’s assistant leaves to care for her ailing mother. Into this chaos steps the dowdy Beth who can not only tidy up their life, she’ll take Grace’s life over completely and push her out of her marriage. Can Grace get her life back? Does she want to? It’s an interesting idea, but at first I found the story a little slow, the addition of the recipes at the end of the chapters didn’t help as they were an unnecessary distraction. Beth is so conniving at times it made me cringe - I was begging Grace to realise and take control. Although it was completely plausible that Grace’s personal experience of mental health issues had such an impact on her own behaviour I was frustrated that she was so easily taken in. The book becomes more interesting as Grace finds her own way through her personal hell and by the end I was cheering for her to get a happy ending. I’ve not read any Jane Green novels recently and only remember her early Jemina J stuff, she’s obviously moved on a long way and I shall look out for more. A thought provoking, unnerving and at times uncomfortable read. Well worth a look. Thank you to netgalley and Pan Macmillan for my review copy.